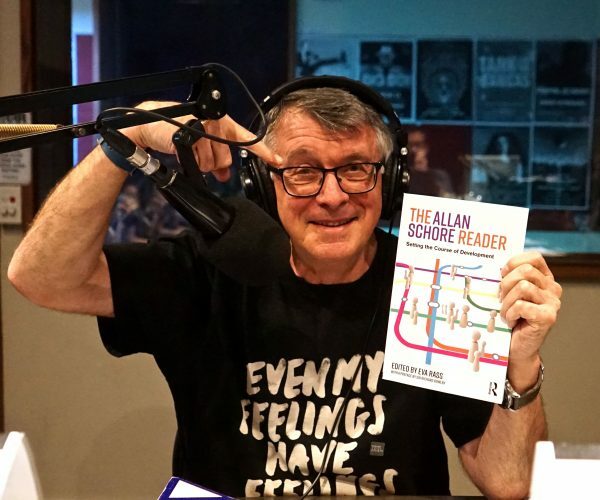 The Allan Schore Reader, edited by Eva Rass, Routledge, 2018, provides a wonderful introduction to Allan’s pioneering work. Included themes: relational trauma, reparative moments and many other contributions relevant to contemporary trauma informed care and therapy. Are you confounded by the current ways of thinking about trauma informed psychotherapy? Compare and contrast Allan’s pioneering ideas, how they might enrich your understanding of trauma, see how he translates those principles into clinical practice.